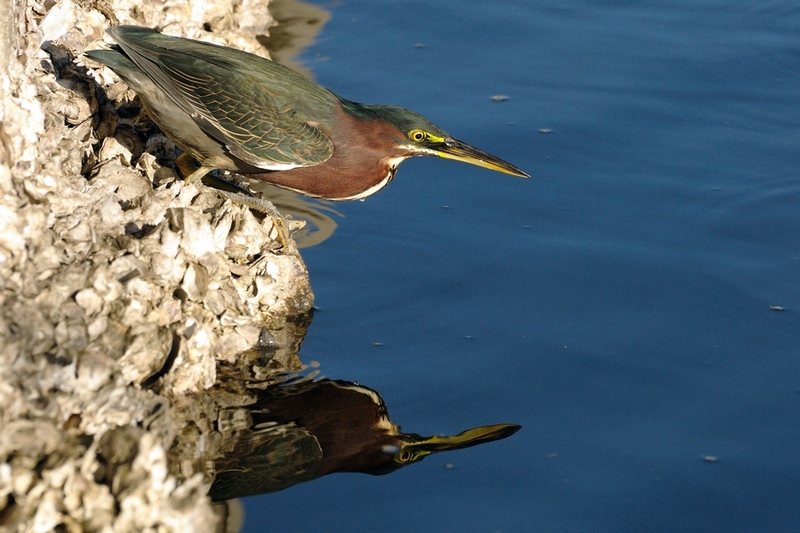 I usually go out to the local parks and rural areas to find my birds and bugs. Today was a lot easier though. I noticed gulls feeding on a lot of small fish drifting in schools through the canal behind my house. I went out to take a couple of shots of them fishing. The sun angle was such that it made for easier shooting from by neighbors dock. 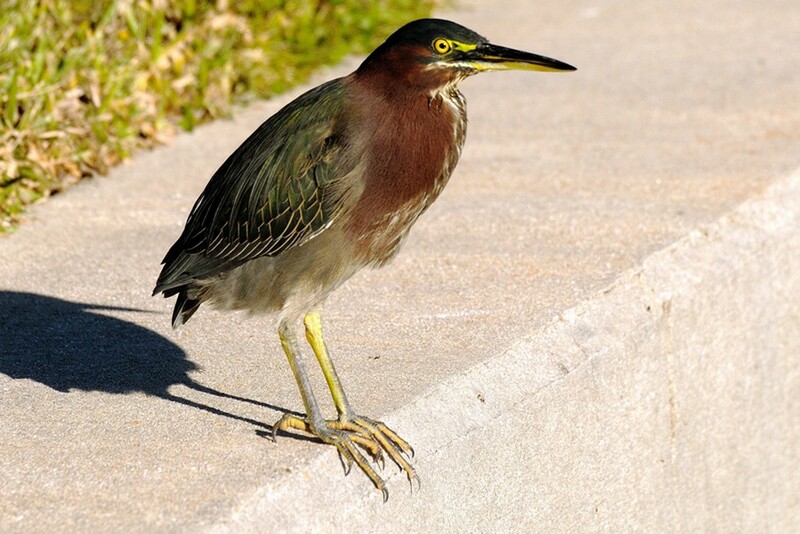 As I walked over, I noticed a Green Heron walking across the lawn. Usually timid, I think this one was a bit hungry and attracted by the feeding calls and noises of the gulls. This is a fairly typical pose (which I titled ‘Standing on the seawall watching all the gulls go by’. 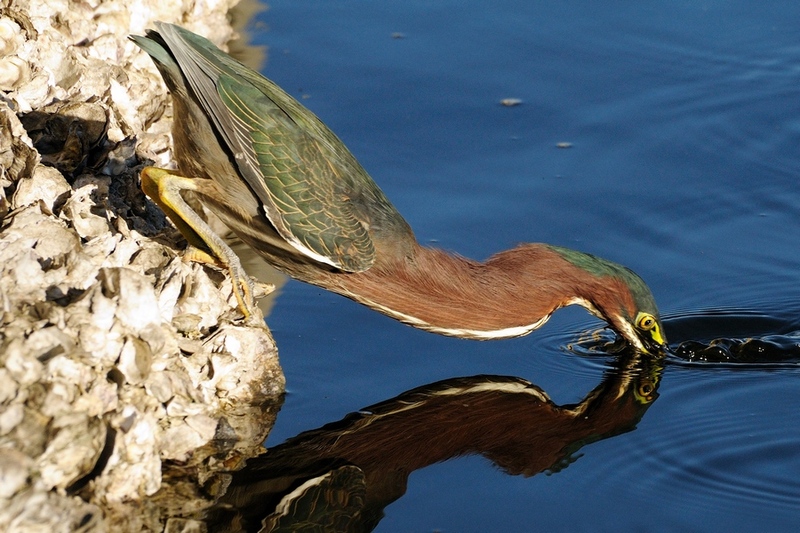 This one that shows why people sometimes think the Green Heron is a short necked bird. It’s not though, it’s fairly long neck feathers overlap each other and make the neck appear short. Once it starts hunting though it’s true extent appears. It stretches out a little to get it’s head in a good position to see into the water. But, when it strikes, there is no doubt that this is a heron’s neck. Yum, nothing like fresh fish. 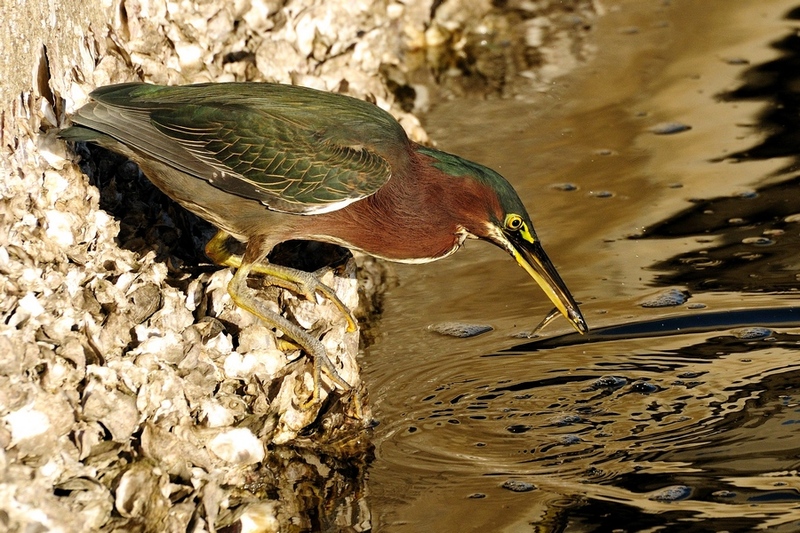 This entry was posted in Bird and tagged Green heron, Photography. Bookmark the permalink. Terrific pictures — Feels like I’m right there!